OVER the last decade, 876 people living in Northern Ireland received a life-changing organ from a deceased or living donor. The organs, which were implanted between 2003 and 2013, came from people who had died in 638 of the transplant cases and 238 from live donors. During the same time period, organs were retrieved in Northern Ireland’s hospitals from a total of 295 deceased donors. In the last financial year alone, a total of 144 organs were retrieved for transplant by hospitals here from 40 deceased people. However, in the same 12 month period, 16 patients died while waiting for a transplant in Northern Ireland. This includes cases where patients were removed from the transplant list due to deterioration and then died. A further 55 living people donated organs between April 2012 and March 2013 – dramatically changing or saving the lives of others. In April of this year, NHS Blood and Transplant (NHSBT) announced a 82% increase in the number of deceased donors in Northern Ireland since 2007/8. However, donor characteristics are changing: donors are older (12% aged at least 70), more obese (26% clinically obese), and less likely to have suffered a trauma-related death, all of which have adverse effects on transplant outcomes. NHSBT, which manages the UK Transplant Registry and maintains the organ donor register, published its latest annual activity report for 2012/13 on August 15. This shows that more than 4,000 transplants were carried out in total across the UK during the last financial year. However, despite increases in the number of people benefitting from transplantation, around three people continue to die each day across the UK due to a shortage of organs. Earlier this month, The Detail requested data from NHSBT relating to the people from Northern Ireland who have signed up to the national donor register and we also asked for a breakdown of figures for transplants which have benefitted people living in Northern Ireland over the last 10 years. The information provided to us – combined with the UK-wide data released – allows us to report in detail today on the transplants which have taken place during the last decade and also who the potential organ donors of the future are currently living in Northern Ireland. The NHSBT has also confirmed to The Detail that, as of August 15 2013, 195 people were on the transplant waiting list for Northern Ireland. Of these, 156 are waiting for a kidney, 19 for a liver, 9 for a lung(s) and 7 for a heart. In addition to those on the active list, 81 people were at that time suspended temporarily from the list. They may have been too ill to undergo the operation or away on holiday. An organ donor is any donor from whom at least one organ has been retrieved with the intention to transplant. Deceased donors are categorised into ‘donors after brain death’ (DBD) and ‘donors after circulatory death’ (DCD). Donors after circulatory death provide, on average, one less organ for transplantation than donors after brain death. The official records reflect the number of organs retrieved. For example, if both lungs were retrieved, two lungs are recorded even if they were both used in one transplant. Similarly, if one liver is donated, one liver is recorded even if it results in two or more transplants. Most organ donations come from people who have died while on a ventilator in a hospital intensive care unit. Organs, particularly hearts and lungs, deteriorate very quickly without an oxygen supply. The ventilator is able to keep blood and oxygen circulating after death. In the latest activity report, the NHSBT said that donor characteristics are changing: donors are older (12% aged at least 70), more obese (26% clinically obese), and less likely to have suffered a trauma-related death, all of which have adverse effects on transplant outcomes. Traditionally organ donors have come from two groups: road accident and brain haemorrhage patients. Improved road safety and medical intervention mean that fewer people in both groups are dying. The number of people needing a transplant is expected to rise steeply over the next decade due to an ageing population, an increase in kidney failure and scientific advances resulting in more people being suitable for a transplant. Across the UK, organ donations from 1,212 deceased donors and 1,101 living donors improved or saved the lives of 4,212 people during 2012/13. However, across the UK 7,332 patients were still waiting for a transplant at the end of March 2013 and 466 patients died during 2012/13 while on the active waiting list. Across the UK 105 families overruled their loved one’s known wish to be an organ donor. 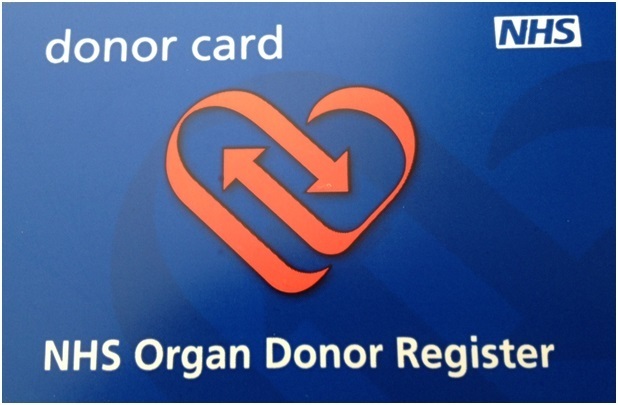 The UK currently has an “opt in” organ donation system which involves people registering themselves to be potential donors. In an “opt-out” system people are automatically presumed to have given consent for their organs to be donated after death, unless they have indicated that they wish to opt out. In February, Northern Ireland’s Health Minister Edwin Poots said he would carry out a public consultation process on attitudes towards an opt-out donor system being introduced into Northern Ireland. His announcement was supported by the First Minister and deputy First Minister. Ulster Unionist MLA Jo-Anne Dobson is also bringing forward a Private Member’s Bill that would seek to change the law in Northern Ireland on organ donation, requiring people to consciously opt-out of an organ donation register. Under a “soft opt-out” system next of kin at the hospital would always have to give their consent before donation can proceed. To read more on the campaign for this, click here. The NHSBT activity report shows that, in Northern Ireland, a total of 144 organs were retrieved from 40 deceased people during 2012/13. Twenty-nine donations took place after brain death and 11 after circulatory death. This includes 73 kidneys and in 28 cases more than one organ was donated. The average number of organs retrieved from each deceased donor in Northern Ireland was 3.4 from adults and 5.5 from children. An average of seven organs were retrieved from children who donated after brain death. A further 55 living people donated organs. There were 50 living kidney donor transplants carried out in Northern Ireland during the year – 39 directed to a specific recipient known to the donor. Across the UK, 57% of families consented to deceased donation when approached in 2012-13. Northern Ireland had a much higher consent rate of 72% of those families approached. Eligible donors after brain death (DBD) are patients for whom death was confirmed following neurological tests. Eligible donors after circulatory death (DCD) are patients who had treatment withdrawn and death was anticipated within four hours. In Northern Ireland during 2012/13, there were 55 eligible DBD cases and 81 eligible DCDs – a total of 136. 89% of the 55 eligible DBDs’ families were approached (49) and 61.2% gave consent. Only 54% of the 81 eligible DCDs’ families were approached (44) – 45.5% gave consent. Almost 63% of those in Northern Ireland approached by specialist nurses in organ donation gave consent – compared to 6.7% of those approached by a non-specialist nurse. A total of 295 deceased people have donated organs in Northern Ireland hospitals over the last 10 years. Of all the donating hospitals in Northern Ireland, the Royal Victoria Hospital in Belfast provided the most donors over this time period – 143. The NHSBT provided a breakdown of the residential constituency for the Northern Ireland recipients of organ transplants during the last decade based on their home postcode. The transplant procedures took place in Northern Ireland (62% of the total), elsewhere in the UK, the Republic of Ireland and also overseas. The constituency with the highest number of people benefitting from a transplant was North Belfast which was the home base for 66 people who had a transplant during the last 10 years. Forty-six came from deceased donors and 20 from living donors. The areas with the least transplant patients were East Antrim and Fermanagh and South Tyrone – which both had 38 transplant recipients. WHO FROM NORTHERN IRELAND IS ON THE ORGAN DONATION REGISTER? As of July 16, 2013, a total of 560,019 people from Northern Ireland were signed up to the national Organ Donor Register. This is a third of the total Northern Ireland population. An age breakdown of those on the register provided to The Detail by the NHSBT shows that hundreds of parents have signed their young children up to donate their organs after death. There is no upper or lower age limit to joining. A total of 1,148 children aged five or under are on the register and a further 946 aged between six and 10-years-old. The largest age group listed on the register is the 110,673 young people who are aged between 16 and 20-years-old. At the other end of the age scale, 343 people on the register are aged 90 or over and 27 are over 100-years-old. Looking at gender, 55% of the people/children listed on the register are male, 45% are male and 2,184 are of “unknown” gender. The Northern Ireland postcode district with the most people signed up to the register is BT48 in Derry, which covers the areas of Cityside, Ballynagard, Coshquin, Rosemount, The Collon and Culmore. Here 20,322 people have signed up to be on the register. This is followed by Derry’s BT47 (Waterside, Claudy, Feeny, Dungiven, Eglinton, Park and New Buildings) where 18,584 residents have signed up to donate their organs. The Public Health Agency says that 95% of families agree to donation if a loved one has discussed their wishes and is on the register. This drops to only 46% when donation wishes are not known. As of earlier this month (August 15), 156 people living in Northern Ireland were on the waiting list for a kidney transplant. Between April 2012 and March 2013, 76 patients suffering from kidney failure had a transplant with 50 of the organs coming from live donors. Live kidney transplants hit the headlines last year when former Derry GAA player Joe Brolly donated a kidney to fellow coach Shane Finnegan. Unfortunately, the organ had to be removed due to medical complications following the transplant. 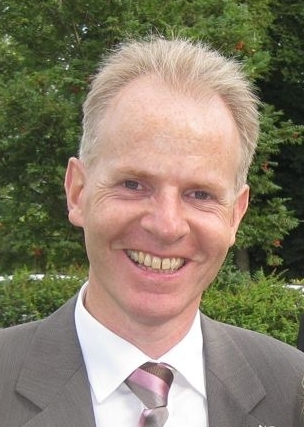 Kidney specialist Damian Fogarty is a senior lecturer and consultant nephrologist at Queen’s University in Belfast and chairman of the UK Renal Registry. He spoke to The Detail about the high number of people being treated for kidney failure in Northern Ireland. Kidney function is recorded on a scale of 0-100%. If it is less than 10% then there is the need for dialysis or transplant. Currently in Northern Ireland over 800 people are being maintained with dialysis – 700 receiving dialysis regularly in hospital and 110 on home-based dialysis. With modern testing practices, patients who go on to develop kidney failure are often referred many years before they need artificial kidney treatment (renal replacement therapy). A problem can be picked up through routine blood or urine tests or because of elevated blood pressure. Dr Fogarty said: "Ideally a kidney transplant is carried out when a patient’s kidney function is between 10-15% but predicted to fall lower and they are thus fit enough for surgery without actually starting on dialysis – a so-called pre-emptive kidney transplant. “In the early days of kidney transplantation kidneys were donated from donors dying in intensive care usually after a severe head injury (donation after brain death) but now are increasingly donated by living donors. He said that figures show that 95% of kidneys transplanted in Belfast are still working well a year later. Around 6,000 kidney transplants took place in the UK last year – compared to only 145 hearts, 191 lung/heart-lung, 784 livers and 233 pancreas. There has been a large increase in the numbers of live kidney donors that have taken place in the last 10 years – from 472 across the UK 10 years ago to 1,100 in the last financial year. Dr Fogarty continued: "The surgical procedure hasn’t changed but the structures in place to deal with testing of family members or other potential donors has greatly improved and increased the numbers coming forward. “We now perform 50 to 60 live kidney donor transplants a year in Northern Ireland out of 90 kidney transplants in total. “For those on the waiting list for a deceased donation, it normally takes three to four years on average for an organ to become available. The wait is reduced to well within a year if they have a live donor willing to donate. “Whether a patient with kidney failure ends up on the transplant waiting list is usually down to their fitness and age. “Half of the people on dialysis are aged over 65 when they start renal replacement therapy. Age is not a problem in itself when it comes to surgery but the majority of kidney failure patients also have other conditions that put them at more risk of complications during surgery – particularly diabetes, obesity and vascular disease. “You cannot live forever on dialysis. It does impact on life expectancy. A person starting dialysis in their early 40s would have an average life expectancy of just around 10 years. “It is a life-limiting condition and some cancers have a better long-term outcome than dialysis. Dr Fogarty said in principal he would be in favour of the ‘opt out’ organ donor system to increase the number of transplants that can happen. He continued: "Increasing the live donor pool is helping but another way of increasing the number of donations after brain death is to try to make sure that the family of anyone who is suitable for transplant in intensive care is approached in a kind and compassionate way; this already happens and indeed in Northern Ireland we have one of the highest consent rates compared to other parts of the UK. To join the Organ Donor Register, fill in a form online at www.organdonation.nhs.uk or call the NHS Donor line on 0300 123 23 23.